Home | North Central Eye Associates, Inc.
on Family Eye Care since 1979.
on university-trained local eye care. on Premium Cataract Surgery at FTMC. Clearly Focused... On Quality Eye Care since 1979. Welcome to North Central Eye Associates in Norwalk, OH. We are dedicated family eye doctors and highly skilled surgeons who have been proudly serving our local north central Ohio residents for over thirty-five years. We are proud to provide specialized ophthalmic care from the best-trained physicians in the area, as ranked by U.S. News & World Report. 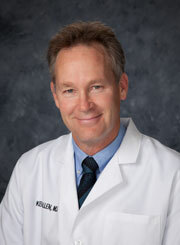 Dr. Jonathan D. Zahler was trained at Wills Eye Institute (#2), and Dr. Kerry M. Allen was trained at Cole Eye Institute (#7). Through means of optical devices such as contact lens or designer glasses, surgical means including Premium Lens Cataract Surgery or medical interventions to control Glaucoma, Macular Degeneration and Diabetic Retinopathy; our physicians utilize the latest medical technology combined with individual, personalized care to provide you and your family state-of-the-art ophthalmic medical/surgical treatments. Call for an appointment today and see the difference. 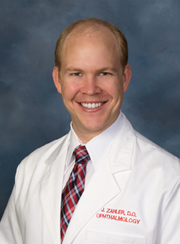 Dr. Jonathan D. Zahler, D.O. is one of the few physicians fellowship-trained in premium and complex cataract surgery, corneal surgery, and external diseases in the Ohio region. I opted to have the RESTOR lens for my cataract surgery. WOW!! No more glasses. It is amazing. I can read, see my computer and cellphone, drive day or night, hunt, fish - everything. My vision has been restored to as close to perfect as it can be and without having to be burdened with the hassle of wearing glasses. It's very painless. Now, I don't have to wear glasses at all. My husband and I appreciated the kind service you provided for me during my recent cataract surgery. The old saying "no pain, no gain" is wrong. I had absolutely no pain and I gained so much.